and how to combat them. 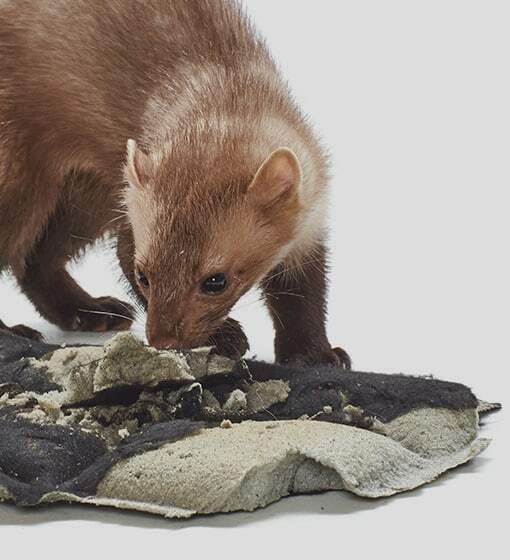 Martens perceive these sounds (which are inaudible to humans) as unpleasant and will avoid them. Those who cannot hear must feel! Older martens (with altered hearing) or very aggressive animals (territorial behaviour when they scent a rival) can sometimes only be driven off by electric shocks, which is why the additional use of high voltage electric shocks is recommended. Combi devices equipped with both defence methods offer even greater protection. It is not, as often suspected, the heat of a parked vehicle that attracts this nocturnal animal. 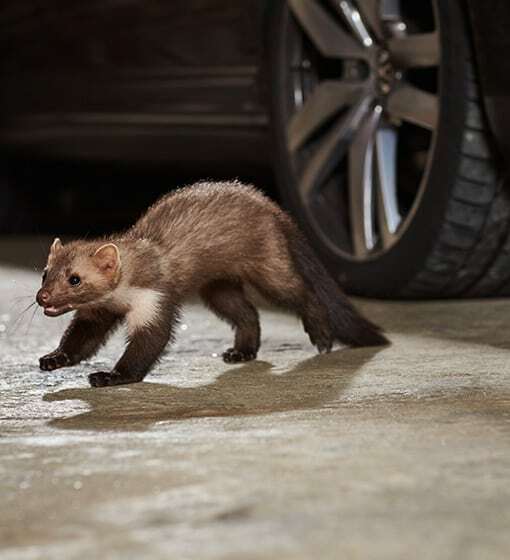 The engine compartment is simply a great place to hide and the marten explores its environment through biting. Neither cables, pipes nor seals are safe from the marten. It also leaves scents on its visits. If a rival senses these territorial markings, it will approach the engine compartment in a particularly aggressive manner. Cars that are parked in different places at night are therefore more prone to becoming ‘victims’ of turf wars. 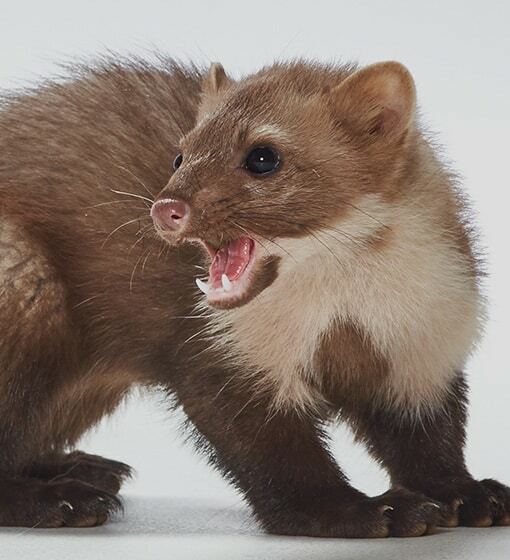 Martens make short, loud warning calls. 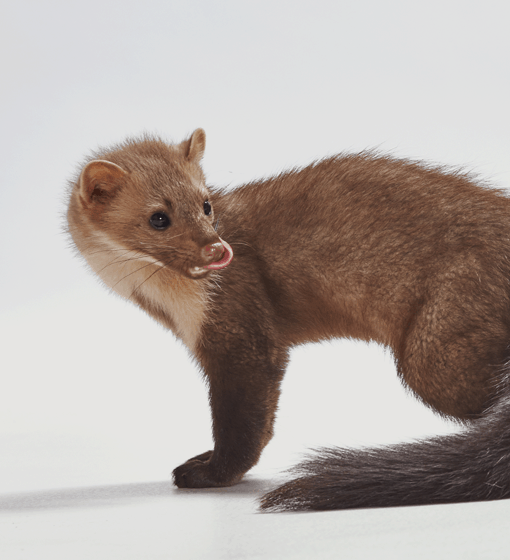 These calls are similar to sine tones and our marten-scarers imitate them in a very lifelike way. The aggressive tones of the K&K devices are pulsating (to avoid habituation effect) and are delivered at a very high volume (sound pressure). What are the benefits of high-voltage brushes? The all-new contact brushes combine both positive and negative poles in a single component. 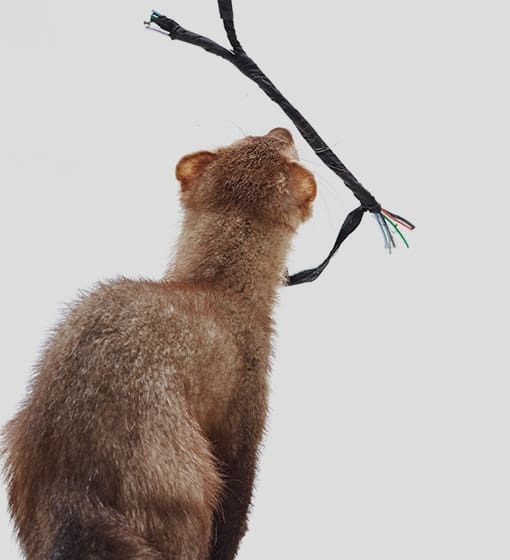 The shock is reliably transmitted no matter which part of the marten’s body comes into contact with the high voltage brushes. Even the animal’s dense fur is no longer an obstacle. This technology differs significantly from other systems that can only reliably transmit power when in contact with the snout or paws. 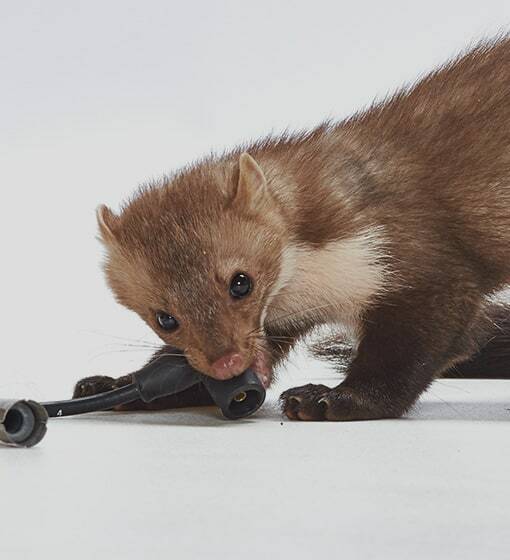 Moreover, these systems often require the marten to touch conductive metal parts in the engine compartment. The 2-pole K&K brush strands, on the other hand, allow installation purely from a strategic point of view, regardless of the surroundings.